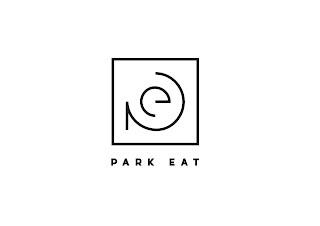 If you are in Pasig and you're looking for something new to treat your taste buds to, then head on over to Park Eat located at 11 M. Eusebio Avenue, Barangay San Miguel. We recently visited this newest eating hub and we were greeted with food stalls offering a variety of dishes inspired from different cuisines. 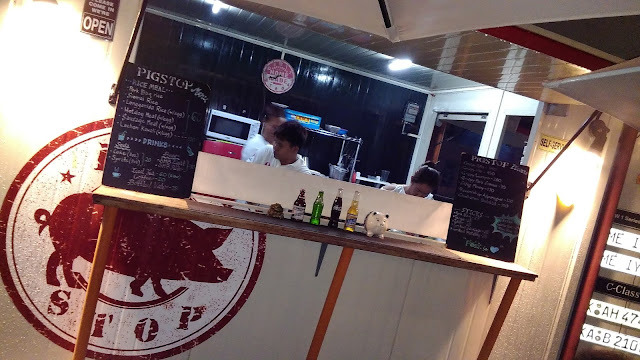 Our first stop for the night was Pig Stop, the food stand right next to the entrance. 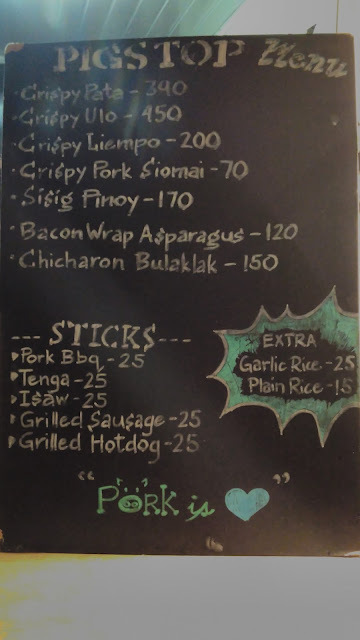 Pig Stop offers a variety of pork dishes which are traditional Pinoy favorites but amped up in flavor while still remaining affordable. 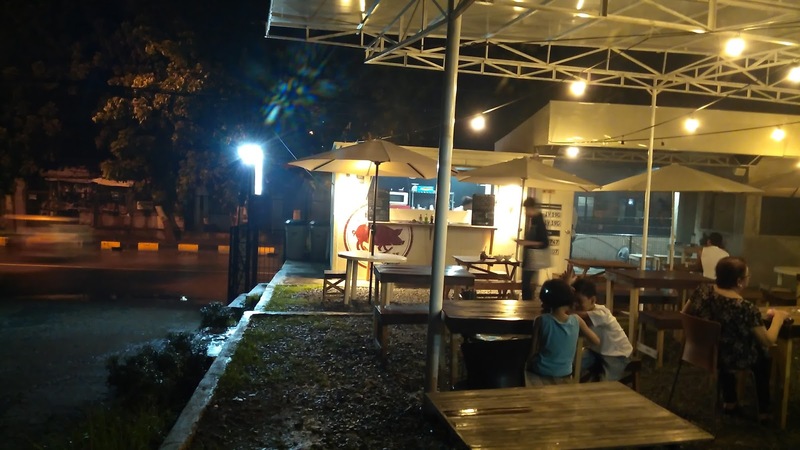 The food stand first started offering their dishes for takeout orders only but now that Park Eat provides ample seating, customers can savor their favorite pork dishes as they sit comfortably on the wooden chairs. 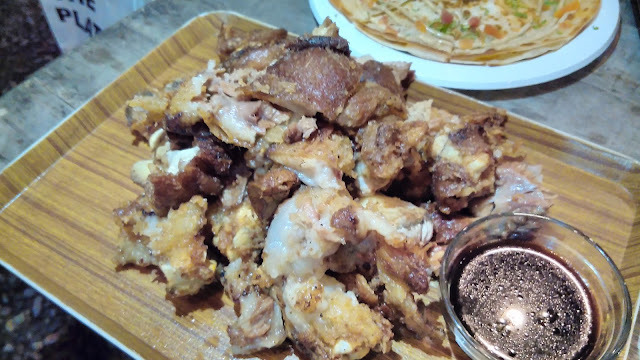 One of their best sellers is the platter of Crispy Pata (Php340) which is a hefty serving good for 3-4 persons. When it comes to cripy pata, the skin should be the crispiest bit while the meat is still moist and chewy. This version does not disappoint. It comes with a delicious vinegar-based dipping sauce that cuts through the grease and enhances the flavor of the dish even more. The sauce is a homemade concoction by Lianne, one of the owners of the food stall. This platter coupled with beer, is a popular order combination of frequent guests at Park Eat. 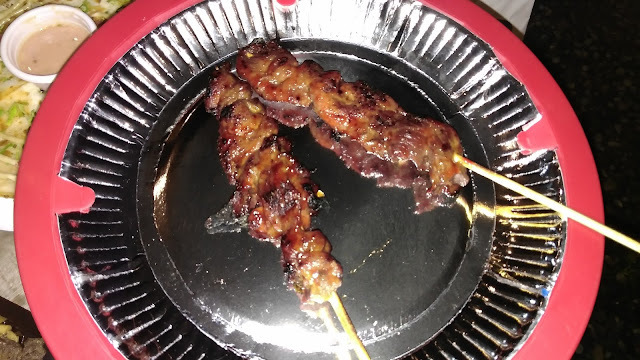 For those who want a less heavy meal, you can order another crowd favorite, the Pork BBQ (Php25) which has the perfect sweet, savory taste that is so familiar to us. Unlike most street stall offers though, this is not dripping with sauce but the sauce sticks to the meat so it doesn't only taste good, it isn't such a mess to eat. The tasty offerings don't stop here of course. 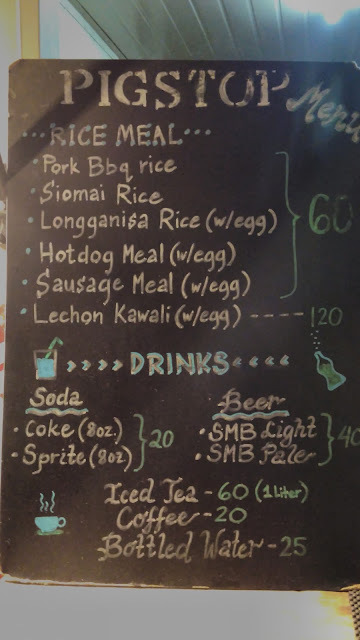 They have more offerings to satisfy the taste buds without busting your budget. Pig Stop is just one of the many food offerings available at Park Eat and they welcome interested vendors. Just contact Lianne Locsin at 0998-984-9841 for more information. We'll show you more of the delicious offerings at Park Eat in our next post. Stay tuned! 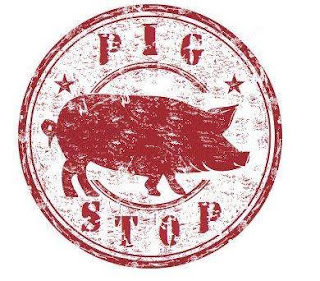 Check out the Pig Stop Facebook page for more delicious news. Visit the Park Eat Facebook page for updates.